I wear these socks all the time and they are great. Just enough padding to keep me comfortable in my boot while staying nice and warm and dry. Highly recommend! I wear Smartwool socks every time I go skiing. There are different amounts of padding, but I normally use the light padding because there is more space in the boot. 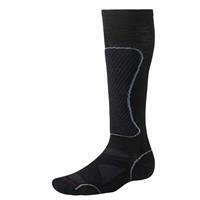 These socks keep you warm without the bulky and uncomfortable feeling from most other brands.